Monkey, Monkey, Monkey!!! 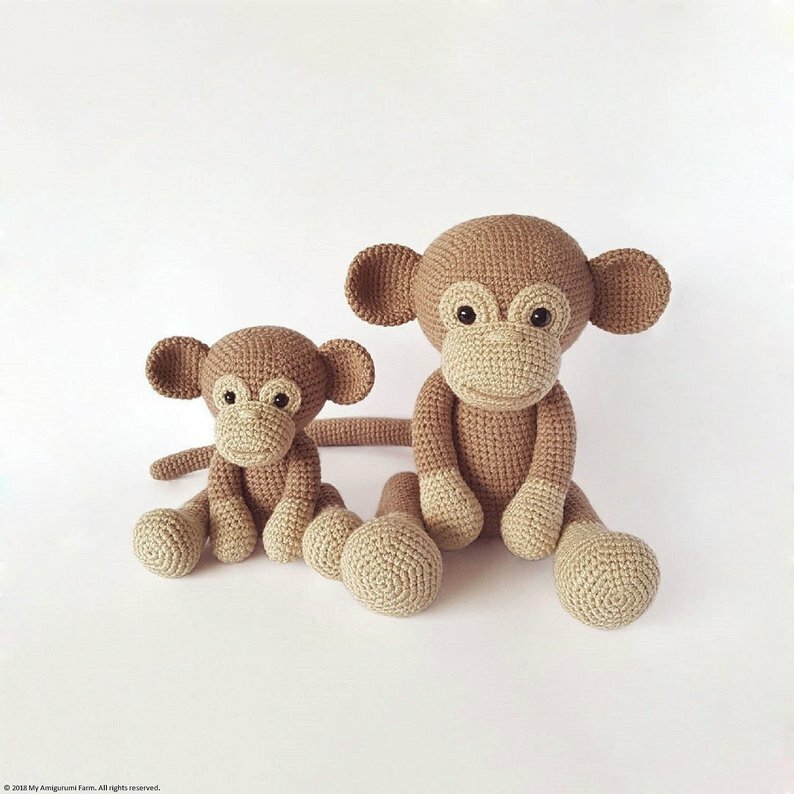 Here are 2 adorable monkeys for you to make for the monkey lover in your family. They are so lovable. These cuties sit nicely as if they are all innocent, but I’m sure they will be up to no good as soon as we turn away. Get your own pattern PDF from the affiliate link below. Rainbow the Pony Lovey is a plush toy and security blanket all in one! She will become a good friend for your baby. The pattern is easy to follow: it contains detailed text instructions and photos. 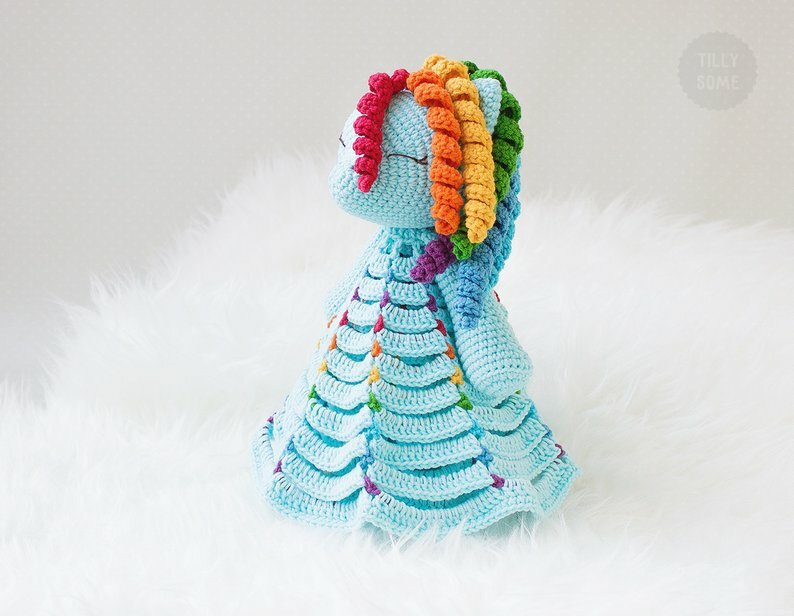 You can make this lovable pony in rainbow colors as seen in the pattern, or you can use whatever colors you choose. No matter what color you make her, she is sure to be loved for a long time! 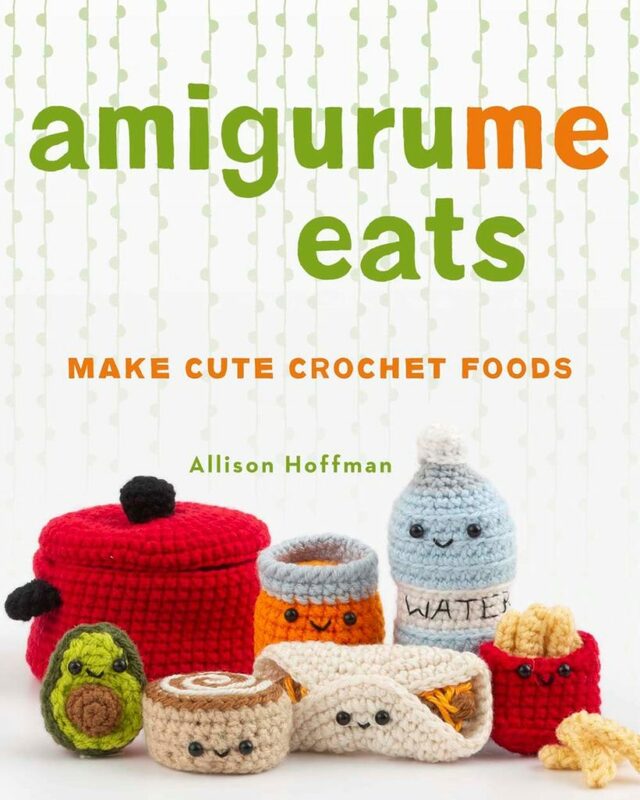 This irresistible collection of 40 food-themed amigurumi makes a delicious treat for crafters. Perfect for beginners, it offers a menu of charming projects, including a plate of pancakes served with strips of bacon, a sandwich (with your filling of choice), and a full dinner of spaghetti and meatballs, a freshly crocheted salad, and a slice of pie. There are even patterns for kitchen accessories, from a lunch box that opens and closes to a miniature pot with a removable lid. Every project features instructions for adding scent using wax melts or common household items like herbs and coffee beans, and there’s plenty of guidance on creating fun variations and customizing your creations. 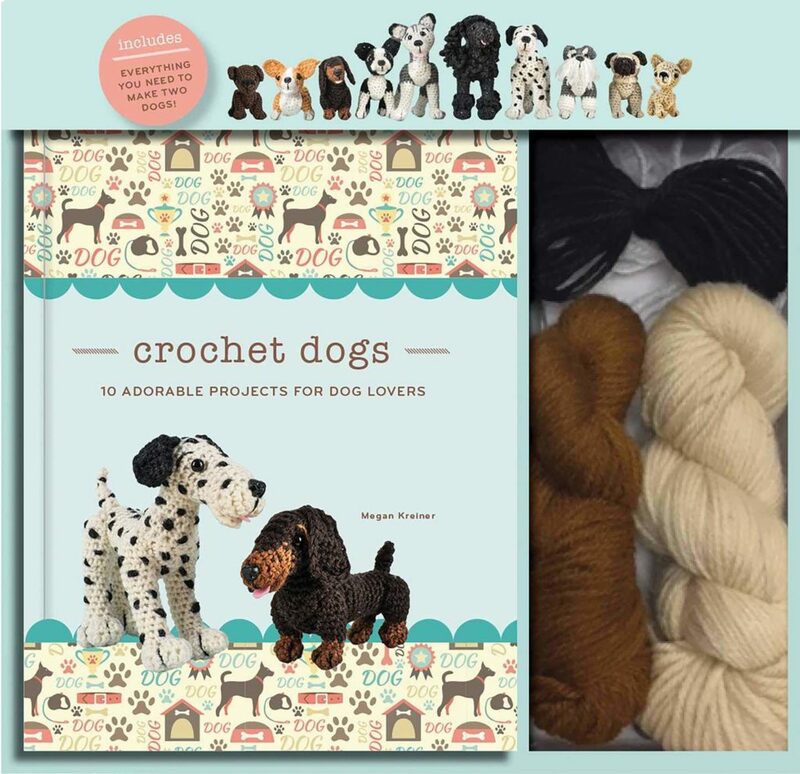 Crochet novices will be able to tackle these super-cute items in no time with the help of the “Getting Started” section, illustrated with step-by-step photos. Amazon USA – $12.16: 32% off; Gift-wrap and free shipping available! Amazon UK – £13.64; Gift-wrap and free shipping available! I love the use of two different weights of yarn to make this little sheep so fluffy! This easy-to-follow pattern is sure to be a hit! This is a great price on hooks that have earned their 5-star review! 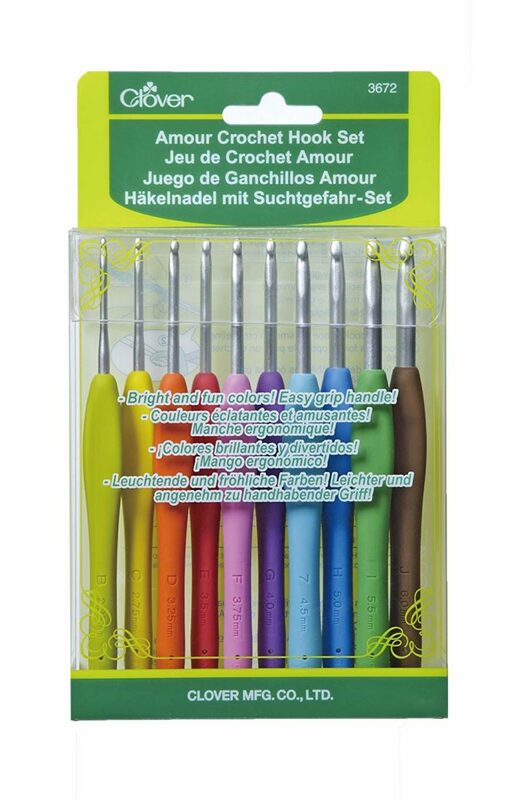 Clover Amour crochet hooks have a soft easy grip. Includes 10 sizes – B-2.25mm, C-2.75mm, D-3.25mm, E-3.50mm, F-3.75mm, G-4.00mm, 7-4.50mm, H-5.00mm, I-5.50mm, and J-6.00mm. Amazon CA – CDN$ 55.00! 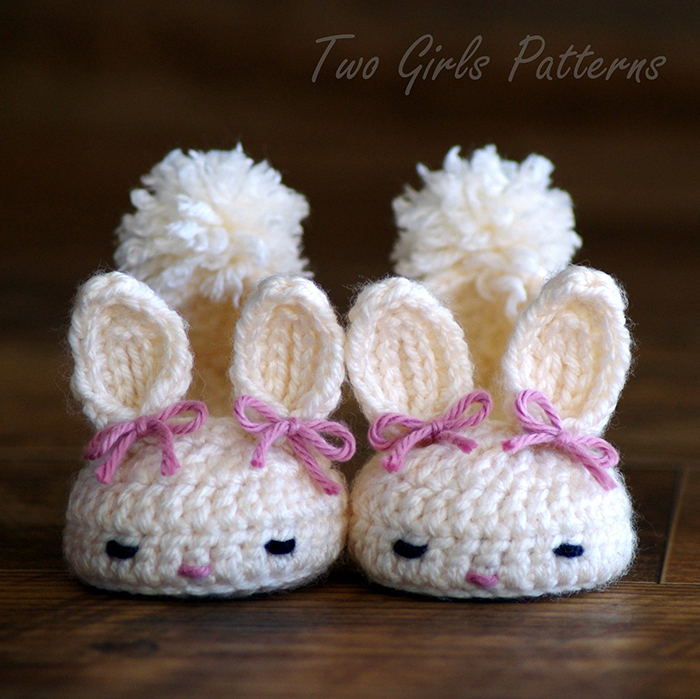 These adorable little baby slippers would be a fantastic accessory for your little one for Easter or any Spring occasion! This pattern is recommended for beginner/intermediate crocheters and includes the sizes 0-6 months and 6-12 months. Other sizes are available for sale from this designer. 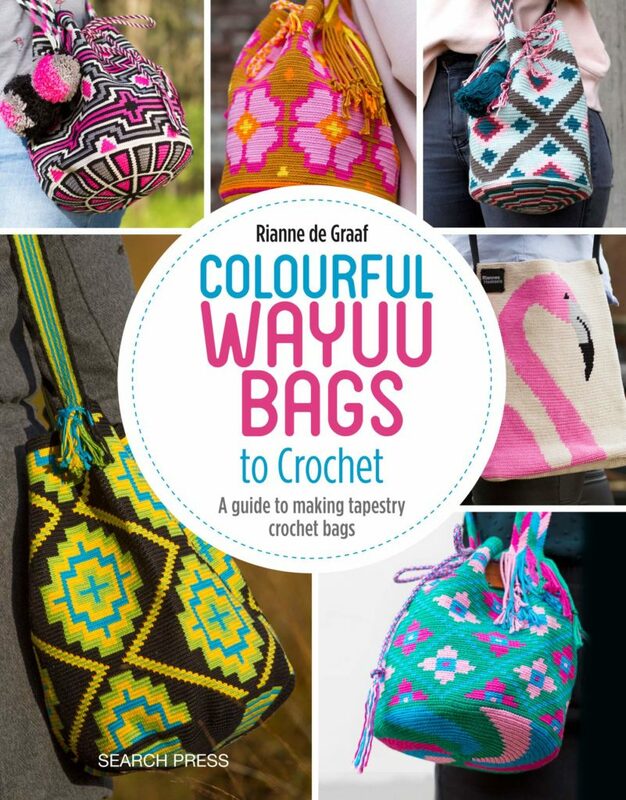 A craft-tastic companion for all your creative fun! This lamp keeps your notions organized in removable compartments and lights up your project area. 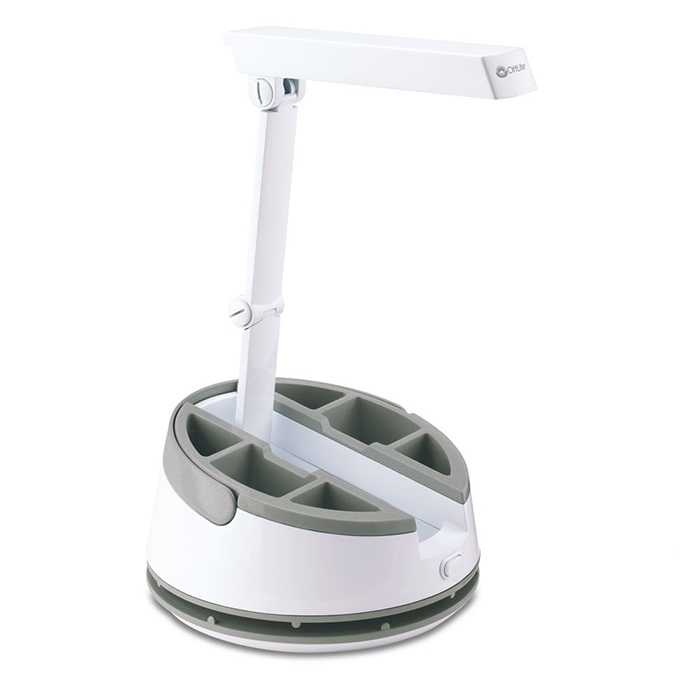 There’s an extra electrical outlet in the base, and best of all, you can fold the shade down and use the convenient handle to transport the lamp and your supplies to another room or a crafting event! Amazon CA – $CDN$ 47.02! 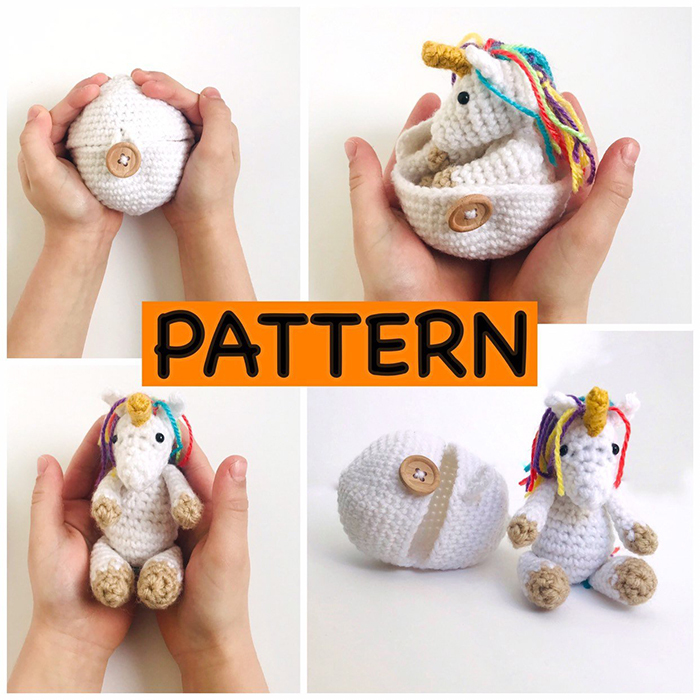 This little unicorn is super adorable, and comes with it’s own storage! 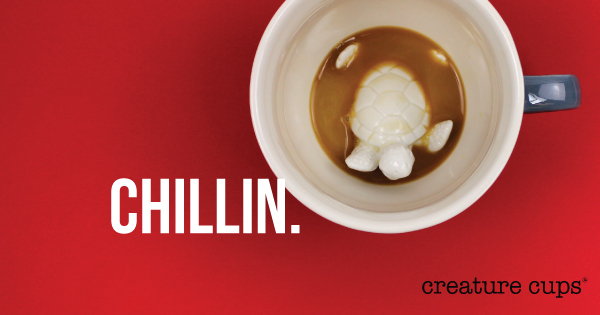 Kids will love “hatching” this little one again and again! 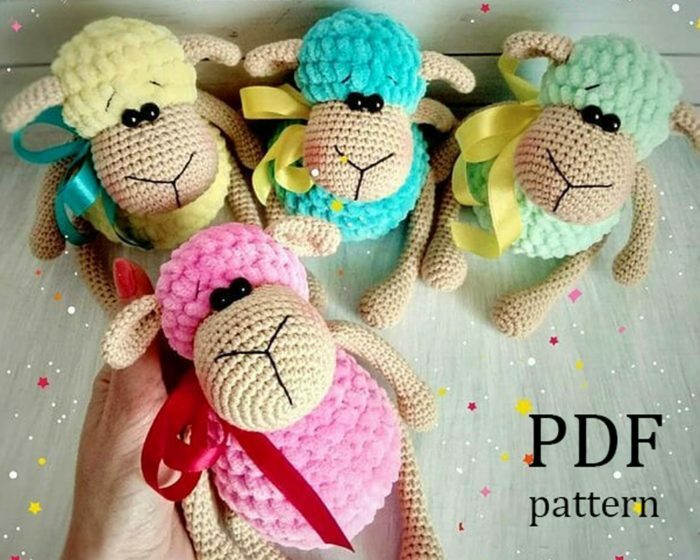 This pattern is recommended for intermediate crocheters and measures around 14cm high. The egg measures 12cm high and 10 cm wide.